This course is in Greek. The markets in financial instruments directive II (MiFIDII) is a regulatory framework that increases the transparency across the European Union's financial markets and standardizes the regulatory approach for particular financial markets. The MiFIDII implemented new measures, such as pre- and post-trade transparency requirements, product governance, investor protection, best execution and set out the conduct standards for financial firms. The directive has been in force across the European Union (EU) since 03rd of January 2018. MiFIDII has a defined scope that primarily focuses on regulating over the counter (OTC) transactions and improve protections for the investors. Professionals involved in product design, risk management, compliance, portfolio management, investment advice, dealing, internal and external audit, service providers, customer support and directors of CIFs. Professionals involved in product design, risk management, compliance and corporate governance should attend. Also, people involved in marketing coming because they will be able to see how their role fits within product governance framework. Executive Directors, Treasury function of CIFs / CFO, Compliance officer, CASS compliance officer (new role under MIFID2), Internal Auditor and External Auditors with CIF engagements. Compliance Managers, Operations, Business Analyst, Project Managers, in Transaction Reporting. Demonstrate practical examples and case studies. ​Explore how firms manage outsourcing risk and due diligence with third parties. Chrysostomos Kalos is the the Head of Dealing department in a CIF and is serving as an Independent Non-Executive Director and Supervisory Board Member in Investment Firms. He is also a Lecturer / Tutor at UNICAF University where he is teaching Business and Management courses to MBA online students. 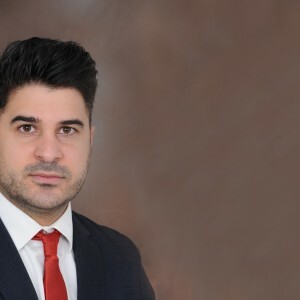 Chrysostomos is a BBA and MBA degree holder, a certified HRDA trainer, a certified Mediator from the Ministry of Justice and a holder of Financial Services Legal Framework (Advanced Level) Certification issued by Cyprus Securities and Exchange Commission. Demetris Hadjiossif is the CEO of Globia Wealth. He is a financial services professional with a legal background and a specialization in the field of Compliance. 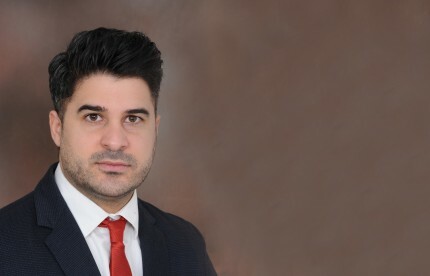 Demetris holds an LLB and LLM from the University of Aberdeen and is a holder of the Financial Services Legal Framework (Advanced Level) Certification issued by the Cyprus Securities and Exchange Commission. Throughout his career he has been involved with investment firms ranging from AIFMs and portfolio managers to online trading providers.